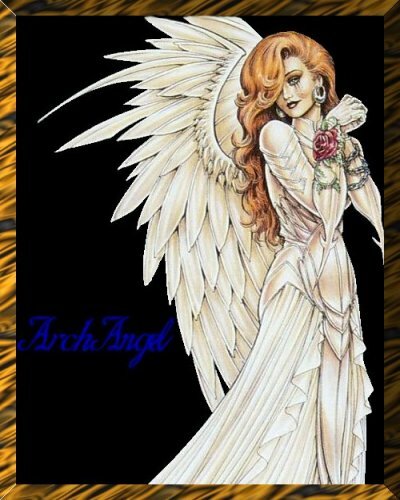 Archangels are a race of humanoids that have wings that they can sprout from their backs or wrap around themselves like a cloak. Archangels happen to be born with three types of wing colors, black, white, and a combination of the first two. Archangels are able to fly. Unfortunately archangels that have silver feather tips must keep themselves hidden as their wings are most sought after as components in spells.